Every Wednesday, a group of 26 Asheville School students travels to the Cataloochee Ski Area to race against other high school students from across Western North Carolina. With teams from 12 schools competing each week, it's a fun and competitive way for the Blues to hone their skiing and snowboarding racing skills. Asheville School's ski team is part of mountaineering, but Lecky Haller, who coaches the ski team alongside Andrew Kegg, Ben Williamson, and Matthew Gilliland, says that students in a wide range of sports and afternoon activities race for the Blues. "A lot of the kids are making time for the ski team because they are in different sports or activities," Haller said. "They are there because they are excited about it; they love it and look forward to going every week." In ski racing, each skier or snowboarder goes down the course individually, and they must navigate around gates. A non-competitive pacer completes the course before the race, and their time sets the event's handicap and time standards. The fastest skiers can achieve gold, silver or bronze time standards. Captain of the ski team Jen Fish 2019 explains how the race works: "You are racing the clock, so the person that gets down to the finish line in the shortest period of time wins the race. Your line around the gates matters; to get the fastest time, you take the most efficient line by getting the closest to every gate. Like other individual sports, every millisecond matters." Only four races into the season, a number of Blues have achieved gold, silver and bronze recognition for their fast times. Sam Griffiths 2020, Jen Fish 2019, and Kevin Jones 2022 have made gold times; Tori Kim and Julian Kotara have both earned silver. Members of the team have also earned 10 bronze times in the four races. Fish says that the ski team is not only a great way to practice, but also is a fun way to let off steam while having fun with friends. "I've been skiing and racing my whole life, so I was excited to hear that Asheville School has a ski team," she said. "Ski team is a getaway for me during the middle of a stressful week at school. I look forward to Wednesday nights because I get to go off campus to do something I love amidst my busy schedule. 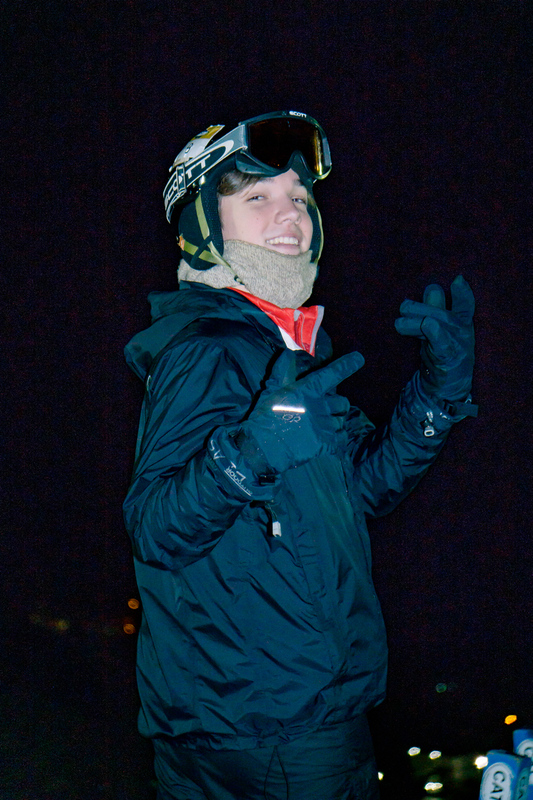 Plus, our Asheville School team is full of great coaches and skiers; it's always a blast!" Haller says the team consists of students who have been skiing for years and others who are new to the sport. "Our team is awesome," he said. "It's really fun seeing them get better over the course of the season. I am really proud of them. They all have different backgrounds and experience skiing and snowboarding, and they are all great at helping each other out. It's an inclusive team and they've made it have a great atmosphere." You can take a look at Asheville School racers' times each week on nastar.com. Read more about mountaineering at Asheville School here.